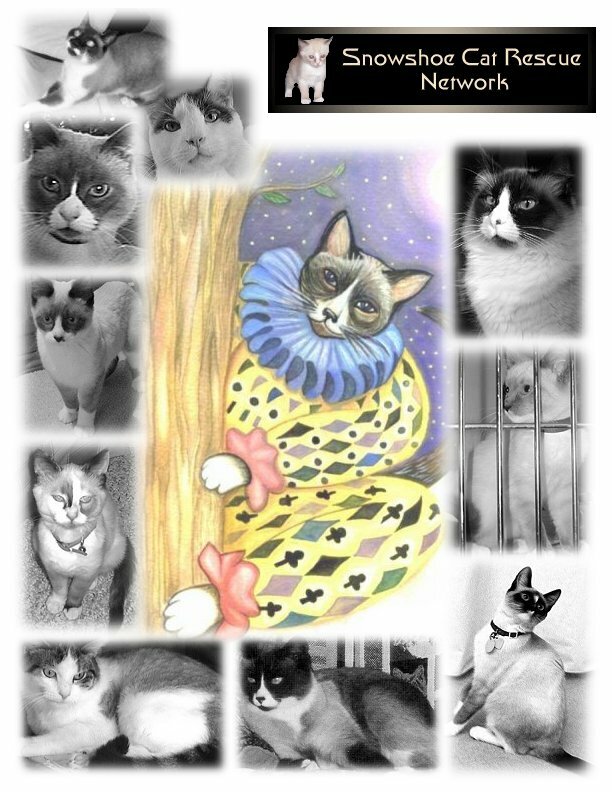 The Snowshoe Cat Rescue Network is active in finding permanent homes for Snowshoe cats and other cats of the Siamese or pointed cat breeds. Our network coordinators are based throughout the United States. This site provides photos of cats available at foster homes and other shelter organizations. It also provides links to other organizations which are active in rescueing similar type cats. But we do not confine our rescue network just to Snowshoe cats. Please check out our contact page for the Rescue Coordinator closest to you. The official International Snowshoe Cat Lovers web site contains information, photos and links to our Snowshoe Cats group and more. ALL Photographs and Graphics on this site are copyright protected by the photographer or graphics designer.